It is challenging to combine two careers: one that you love from 20 years ago with one you enjoy now but is missing a critical ingredient that you’re passionate about. Challenging as it was, I found a way to bridge the two during my MovingWorlds Impact Team experience. After 14 years of working within the sharing economy and tourism space, I wanted to revisit my love affair with international development and integrate it into my current work. But 14 years is a long time, and a lot changes in 14 years. For me, Impact Team offered three bridges connecting my current profession to my past loves: education, network, and practical experience. The Impact Team curriculum was interesting and highly interactive. Through the readings, webinars, and team discussion, I quickly got up to speed on recent advances within the social impact field. Reflection is also an important component to our education and, for this, we were partnered with a member of the team as our “accountabilibuddy” and with whom we could connect with weekly to share our progress. Anish, who I partnered with, is a fabulous person who is currently Experteering in Guatemala with Alterna. When passionate, entrepreneurial-minded individuals are together, it is natural for us to connect and challenge each other to grow. 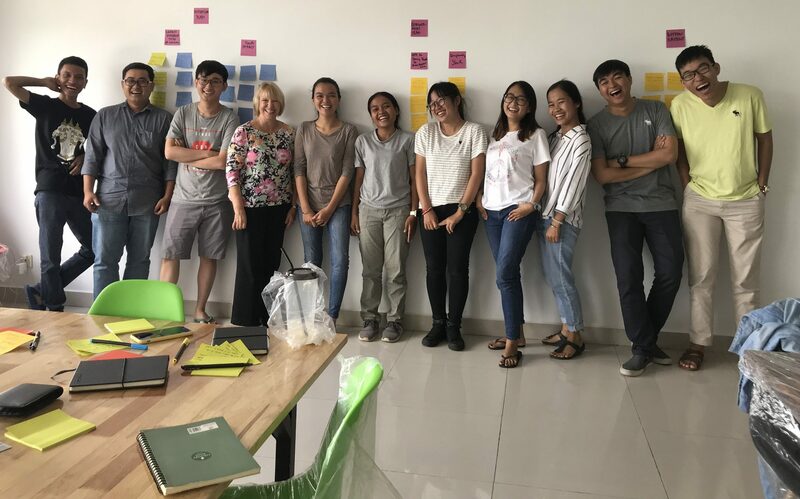 A group of us from the Impact Team decided to build on our Human Centered Design training and registered for an online course through Acumen and IDEO.org together. From the East coast to the West coast, Lisa, Sophie, Meredith and I worked on the course together and even convened in San Francisco for a working session (fueled with snacks and wine). My teammates are easily the highlight of my Impact Team experience. Everyone brought tremendous insight, humor, and kindness, including Milleigh, Mark, and Cole who provided training and facilitated our discussions. 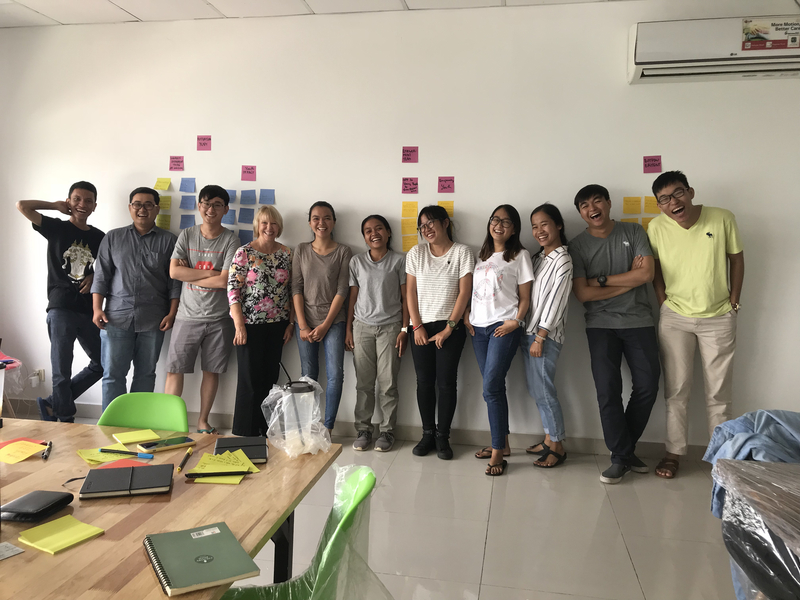 In addition to my accountabilibuddy and my chort, my Impact Team experience connected me to other entrepreneurs operating within the social impact space, including the founder of Backstreet Academy. 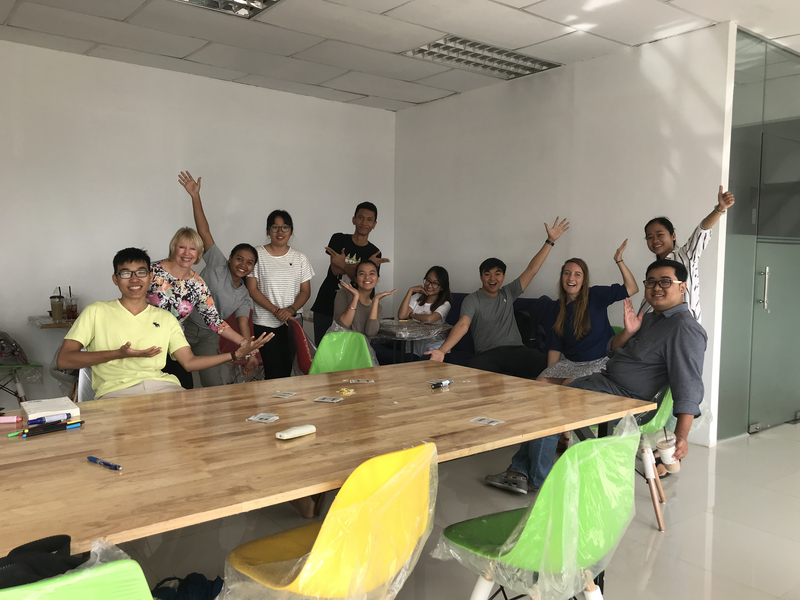 Backstreet Academy is a company that connects travelers with local adventures provided by low-income residents throughout Southeast Asia. I was really interested in learning more about this company, and MovingWorld, through its extensive network of international contacts, made it possible for us to connect. Before settling in Phnom Penh, Cambodia, I stopped in Singapore to meet with Backstreet Academy’s founder. Lynn in San Francisco working on a human-centered design exercise together. I arrived in Phnom Penh on a beautiful sunny day and was enthusiastically greeted by the co-founders of WEDuShare, a company whose mission is to help young Cambodians on their journey to higher education. WEDuShare, with thirty volunteer Ambassadors and growing, was in the middle of a major transition outgrowing their office at Tech Hub in the middle of the city. Everyone was very excited. The local team quickly brought me up to speed on their operations and we were able to hit the ground running because of the pre-Experteering planning we had done. Before my arrival, the co-founders of WEDuShare and I collaborated closely to develop a plan of action that aligned with their needs. MovingWorlds had provided a well-structured process to ensure we were all on the same page regarding the scope of our work, housing arrangements, hours of work and all those details that keep surprises to a minimum. In fact, we had no surprises. Using human-centered design principles, we jumped into key issues related to the company’s value proposition, strategic plans for the next year, stakeholder communications and the design of a new organization chart. 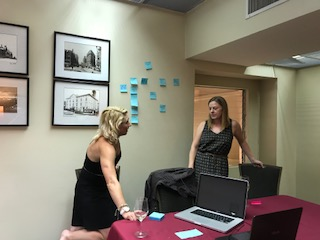 We conducted surveys, held meetings with trusted advisors, mapped priorities and potential pitfalls, charted a marketing plan (on a glass door with markers), arranged and re-arranged sticky notes on walls, set up a book club, and asked users to outline their experience with WEDuShare’s services. At the end of it all, we decided on a project management system, loaded our findings and decisions into it, and toasted our progress with passion fruit smoothies. Along the way, I was asked to develop and teach workshops on public speaking, effective meetings, and time management. Of course, it wasn’t all work. 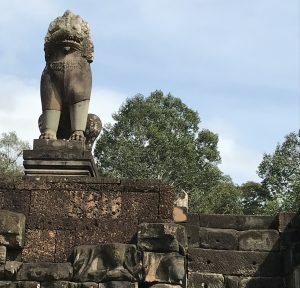 During my free time, I traveled to Siem Reap to explore Angkor Wat, watched the boat races at the Water Festival in front of the Royal Palace, had my fortune read, and shopped at the outdoor markets every chance I got. I even got blessed by a Buddhist monk at a 2-hour office opening ceremony at the request of the co-founder’s family members. 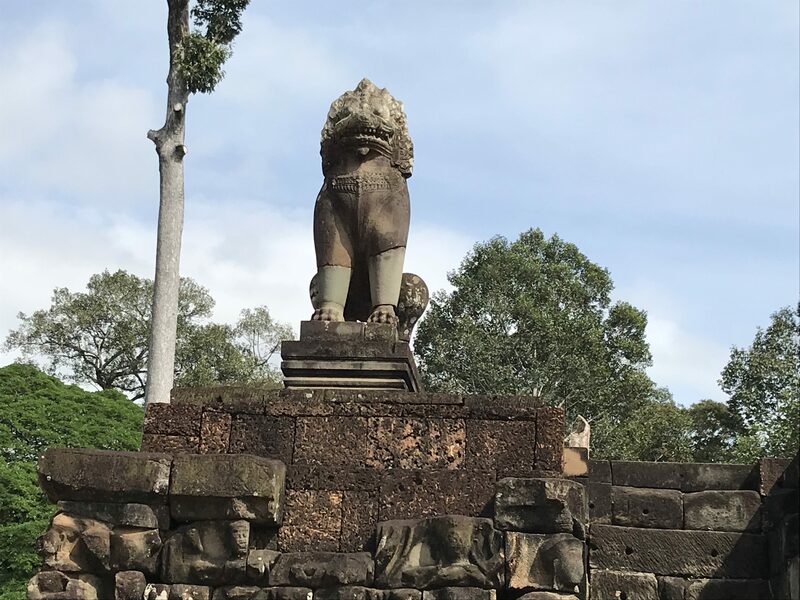 Lynn exploring the incredible statues and temples at Angkor Wat. My Experteering experience was wonderful! My proudest moment occurred during a half-day human-centered design activity. One of the co-founders was leading the exercise with his team of 20 volunteer Ambassadors. One young Ambassador, who never speaks out, was animatedly leading a discussion and everyone was engaged. Witnessing the evolution within the local team I supported, and knowing that my Experteering trip made this transfer of knowledge possible, completely made this trip for me. Indeed, building bridges for others helped me complete my own. And I got to meet some great people who are committed to social impact and entrepreneurship to boot! 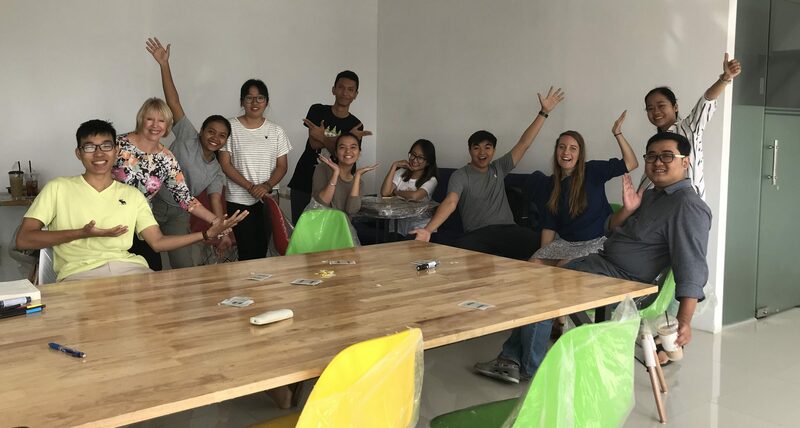 A special shout out to Melanie at the Impact Hub Phnom Penh for her support. For those who are thinking of Experteering, there are many great opportunities. If you can clarify your interests at the outset and go into it with an open heart and mind, it’s a wonderful adventure. Ready to go on your own Experteering journey? Join the next Impact Team! Celebrating a successful strategy session with members of the WEduShare team.